The national PRSSA Bateman Competition challenges students to research, plan, implement and evaluate a public relations campaign in their local community. Each year, students work in groups of four to five and collaborate with national and regional stakeholders. The client for the 2017 competition was the Campaign to Change Direction, a national initiative to build awareness about the mental health resources and educate students and faculty on the signs of emotional suffering. Four Murrow students, Meaghan Phelan, Stacey Reynolds, Matt Martin and Elise Locke were selected as the 2017 WSU PRSSA Bateman Competition team to develop a campaign to engage local and regional audiences in support of the Campaign to Change Direction. Chris Cooney served as the faculty advisor for the team and Amanda Boyd was the professional advisor. The Campaign to Change Direction presents an easy-to-understand, actionable message that creates a common language to address the signs of emotional suffering, connect with students, and empower them to make a positive change in their immediate social network and the broader community. The campaign focuses on learning, recognizing and taking action on the campaign’s Five Signs of emotional pain: agitation, withdrawal, poor self- care, personality change, and hopelessness. 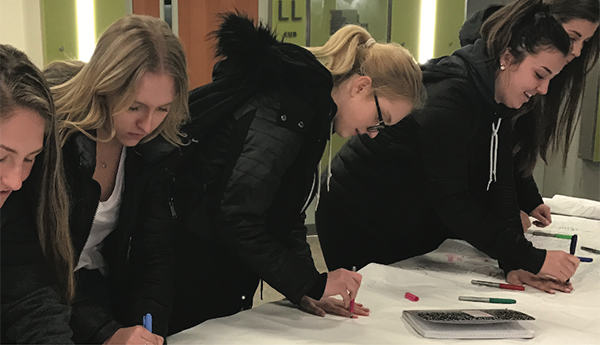 The Murrow students developed a campaign and organized a full-day of activities and event with the theme “A Day to Lend A Hand.” The activities offered an opportunity for the WSU community to directly engage with the people and services on campus who are dedicated to mental health. The day began with an informational tent on the Terrell Mall, staffed by representatives from campus support services and student groups, who were available to answer questions and provide information about their services. The day concluded with a keynote address by Alexandria “Allie” Pennington, who spoke on the topics of resilience and overcoming adversity. Allie is a motivational speaker, WSU Alumna, athlete, and writer focused on helping others overcome personal adversity through resiliency. 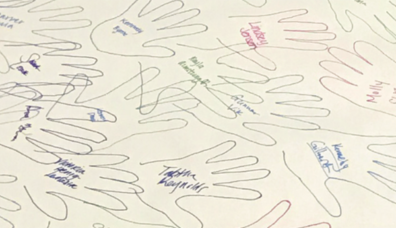 Participants included WSU Health and Wellness Services, Office of Veterans Affairs, Residence Life Social Committee, the Coalition for Woman Students, Mujeres Unidas, To Write Love on Her Arms, Student Veterans Committee, Panhellenic and Interfraternity Councils.